Jeremie Godet, Galileo Implementation Head of Sector, European Commission (left); Fiammetta Diani, deputy head of Market Development, European GNSS Agency. The Galileo programme is currently in its deployment phase, which is due for completion in 2020. Following declaration of initial services in 2016, an exploitation phase will start and aim at delivering a fully operational system by the end of 2020. The deployment and the exploitation are entirely financed through the budget of the European Union, while two non-EU members, Norway and Switzerland, contribute through international agreements. The aim of the Galileo programme is to establish and operate the first global satellite navigation system under the control of the European Union, thus contributing, amongst other things, to the strategic autonomy of the Union. This is the first time that the EU has developed, owned and been responsible for such a large-scale infrastructure. While independence is the main political objective, ensuring compatibility and interoperability with other existing and future systems is also critical. Indeed, frequency compatibility has been achieved with GPS, IRNSS, QZSS and COMPASS with a range of coordinations achieved in the last two years under the framework of the International Telecommunication Union (ITU). A wider international agreement was previously reached in 2004 between the U.S and the EU, achieving the compatibility and interoperability of their respective systems and resulting in a common modulation for both systems’ state-of-the-art open signals. 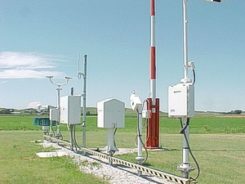 A positive outcome of this for all GNSS users is that similar signals have been adopted by other global or regional systems, in particular the MBOC modulation jointly defined by the U.S. and the EU (Galileo, GPS, COMPASS, QZSS), the ALTBOC modulation adopted by COMPASS and a common signal in E6 adopted by QZSS. The Galileo programme will provide unique services, functionalities and performance levels that have never, or not yet, been provided by other satellites navigation providers. What Will Users Get, and When? A Public Regulated Service (PRS): Restricted to government-authorized users, for sensitive applications which require a high level of service continuity. It will use strong encrypted signals. This service is intended for security-related use for the EU Member States, the European Council, the European Commission, the European External Action Service and duly authorized Union agencies. It may be accessed by non-EU states and international organizations subject to bilateral agreements. A contribution to the Search and Rescue Service (SAR) of the COSPAS-SARSAT system: Galileo’s worldwide search-and-rescue service will help to forward distress signals to a rescue coordination center by detecting emergency signals from beacons and relaying messages to them in near real time. A Commercial Service (CS): Encrypted for authentication purposes and offering very high accuracy to the sub-decimeter level, it will target applications for professional or commercial use owing to improved performance and data with greater added value than that obtained through the open service. As of 2016, Galileo will progressively offer initial services for the open service, search-and-rescue service and the public regulated service. Those initial services will be gradually improved, and the other two services will be gradually implemented, with the aim of reaching full operational capability by end 2020. The performance improvements of the services expected between 2016 and 2020 are linked to completion of the constellation deployment. In 2018, this will reach 24 satellites, the number required to achieve Galileo’s positioning performance targets, and the completed constellation with up to 30 satellites will be in place by the end of 2020 to provide the necessary spares to ensure performance commitments. A new functionality within SAR that provides, via the navigation message, a Return Link Message to distress beacons acknowledging that a rescue center has received their distress signal. The current Galileo constellation is composed of two different families of satellites: the In-Orbit-Validation (IOV) satellites procured before 2010 and the Full-Operational-Capability (FOC) satellites procured after 2010. Since the last Galileo launch on Sept. 10, there are four IOV satellites and six FOC satellites in orbit. The FOC satellites have improved capabilities regarding signal transmission compared to the IOV satellites, despite a similar mass and size. The FOC satellites carry a SAR payload; two IOV satellites have this capability. While this initial deployment faced a number of difficulties, these are now well behind us. Sixteen more FOC satellites are being built. The next launch of two FOC satellites is scheduled for Dec. 17, and four more launches (three Ariane 5 and one Soyuz) are foreseen from 2016 to mid-2018. This implies four to six satellites launched per year, and this is judged perfectly realistic as demonstrated already in 2015. An additional series of satellites will be procured in 2016 for deployment starting in late 2019/early 2020. The ultimate objective of the Galileo program is for its signals to be translated into valuable and reliable services for users across the globe. Europe aims to generate the return on investments in terms of public benefits for citizens and businesses, and for this reason the users are at center of the program. This is the focus of the European GNSS Agency (GSA), which is in constant dialog with user communities via a wide range of activities. For example, cooperation with chipset and receiver manufacturers aims to ensure that all products are Galileo-ready. This process involved a successful testing campaign done in cooperation with ESA and the EC’s Joint Research Centre (JRC). Equally important is to work closely with large user communities, such as road, maritime and rail, to support them in updating their systems so that they are ready to use Galileo. This is accomplished by dedicated market and technical support, via cost-benefit analyses, testing campaigns, initiation of standards and certification processes, user satisfaction surveys and more. These actions are part of tailored adoption roadmaps built with each user community. Periodic user fora are also organised to get feedback on current services and collect ideas for the evolution of the European GNSS systems. EU R&D programmes, such as Horizon 2020 for the development of Galileo applications as well as the recently launched Fundamental Elements program that focuses on funding European GNSS chipset and receiver technologies, are essential tools for preparing users and supporting EU competitiveness in the downstream sector. The GSA leverages these EU R&D programmes as a tool for adoption with large user communities and receiver manufacturers fully involved. The projects are managed by experienced staff specialised in different markets and application areas. In the case of PRS, the core user equipment technology is being designed and tested. This work is already paying off; today, a growing number of receivers available on the global market are Galileo-enabled, while almost 70 percent of the models have EGNOS. Among others, Europe’s ST Microelectronics in the automotive sector, and the U.S.’s Broadcom and the Taiwanese Mediatek in smartphones, have already announced their Galileo-ready chipsets. Many other chipset manufacturers are ready and tested for Galileo. It is expected that, with recent successful launches and the deployment schedule, most of them will bring their Galileo products to market in 2016. Despite its particularly challenging complexity, involving extensive technical and security requirements, Galileo deployment is now progressing well and services will be provided starting in 2016, to reach their full operational capability in 2020. One early benefit of interoperability with GPS is that even before the Galileo constellation is completed, the number of L5/E5a signals in space will allow meaningful use of that frequency for the first time. 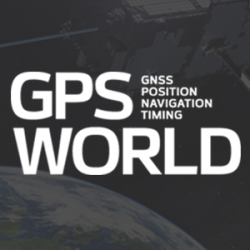 Galileo will deliver real advances in precision, availability, coverage and additional features unprecedented in any other satellite navigation systems to date: while GPS is today’s de facto standard, Galileo is aiming to be the world’s second GNSS reference system by 2020. The European Commission (EC) has overall programme supervision and budget responsibilities. The EC delegates system design and infrastructure procurement to the European Space Agency (ESA) and service preparation, delivery and operations to the European GNSS Agency (GSA). ESA is one of founders of the Galileo system and has been responsible for the development phase, co-financed by the Member States of ESA and the EU. ESA is the procurement agent of core infrastructure and in charge of the overall system integration since 2007. The GSA’s role will grow considerably in the exploitation phase as it becomes the day-to-day interface with ESA in several areas, including infrastructure roll-out and maintenance. The GSA will procure main operations of the system from 2017 and will operate key services facilities such as the Galileo Security Monitoring Centre in France and the UK, the European GNSS Service Centre in Spain, and the Galileo Reference Centre in the Netherlands. The GSA also supports the enabling of receivers and chipsets for Galileo use and the development of applications in downstream segments, in close cooperation with the major user communities.